Developed from our bestselling Napoleon Ring, the Compass Stud is the perfect subtle accessory for the traveller in you. The Silver Compass Stud is one of the pieces from our latest jewellery collection! Wear this with our Neon Collection. The Pendant of the Gold Compass Stud is approximately [CM] in diameter. The Gold Compass Stud is inspired by the founder, Oliver Proudlock’s love of religion, similarly to his recent tattoos. A cherub is a winged angelic being described in biblical tradition as attending on God, represented in ancient Middle Eastern art as a lion or bull with eagles' wings and a human face and regarded in traditional Christian angelology as an angel of the second highest order of the ninefold celestial hierarchy. The Religious Collection is a symbol of unification and care for all those around you, protecting all on whatever journey their lives may take. This is a 925 Sterling Silver earring with a 14K Gold plating. Religion is a close pillar of Founder Oliver Proudlock and echoes throughout all of the products we continue to create today. 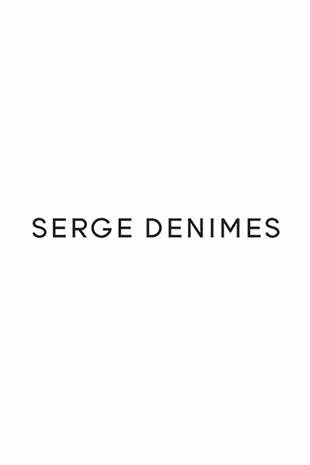 The Gold Compass Stud is designed in UK with a boutique design-team led by Fashion Icon Oliver Proudlock, Serge continues to deliver the highest quality product and the best value to the customer, we do this through our ethical production method.